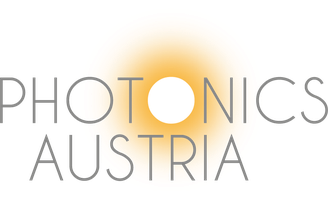 SecureStamp - a technology for unforgeable printing of tickets - photonics-austrias Webseite! 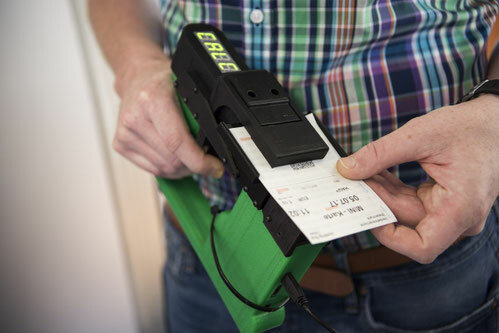 Despite various security marks which are already printed on tickets, tickets can be easily counterfeit if the original paper which includes the security marks is stolen. To create paper which makes forgery impossible random patterns are printed on the paper. Marker pigments are included into the printing colour, which appear as an invisible pattern on the paper. Before the final print these pigments are detected and their position to each other is pictured and saved. This fingerprint is then printed as a multidimensional bar code label onto the ticket together with the customer information. An individual different number of marker pigments in a different and random formation on each ticket guarantees the protection against forgery. The pigments get visible under infrared light. Sensors check the pigment dispersal when the ticket is memorised and compare it with the information in the bar code. If they match the ticket is counted as valid. With a handheld device the tickets can be checked on-site. This technology provides an overall system which allows the detection of forgeries also on original paper and makes burglary of original paper unattractive. The security function is not only included into the medium but also into the production process.